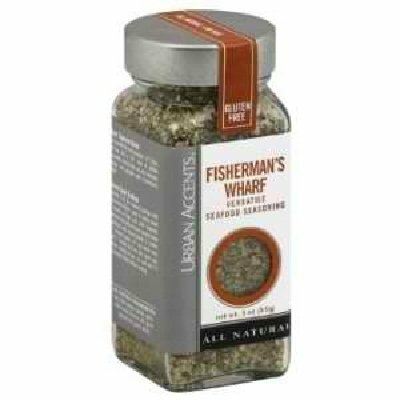 Urban Accents Fishermans Wharf Spice Seafood Seasoning, 3 Ounce -- 4 per case. Our savory blend of herbs and spices has a pepper and lemon base that is coarsely ground with flake salt, green onions, garlic and parsley. We originally designed it for seafood... then discovered it was awesome on veggies, eggs and poultry.